Men In Black without Will Smith still works, right? Since it’s a day ending in a “y,” we have news of another reboot in the works—the team behind Men In Black is planning to relaunch its series about aliens and agents as a trilogy. In an interview with The Hollywood Reporter, Laurie MacDonald and Walter Parkes, who were promoting the documentary He Named Me Malala, said the MIB revival is “very active” even though it will likely move forward without Will Smith. Smith has said he feels he’s appeared in enough MIB films, and is quite ready to hand over the memory-wiping and sunglasses to someone else. 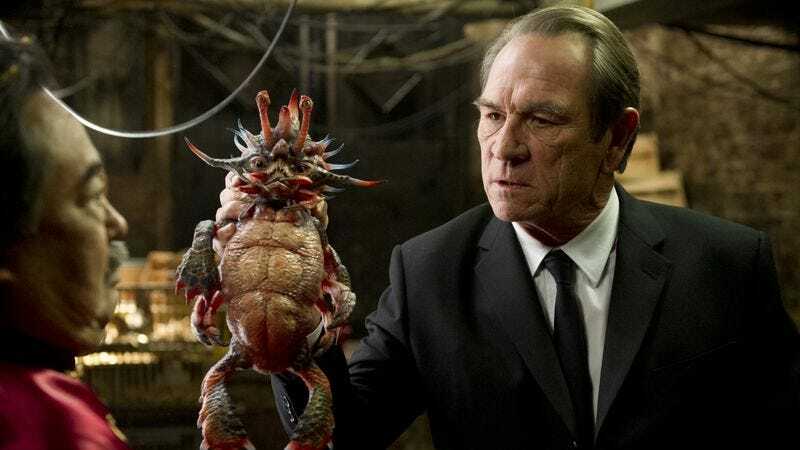 MacDonald and Parkes didn’t comment on whether Tommy Lee Jones or Josh Brolin would return, but since the first two movies were Brolin-less and the third movie ran low on screen time for Jones, the producers could just move forward with that 21 Jump Street crossover. MacDonald and Parkes also revealed that Smith had (unintentionally) stymied their plans for a movie about concussions and professional football; the pair had been developing a “head-injury project” for HBO, but were beaten to the punch by Smith’s Concussion film. Should they want revenge, we suggest teaming up with Martin Lawrence on those Bad Boys sequels Smith isn’t sure he wants to be a part of either.